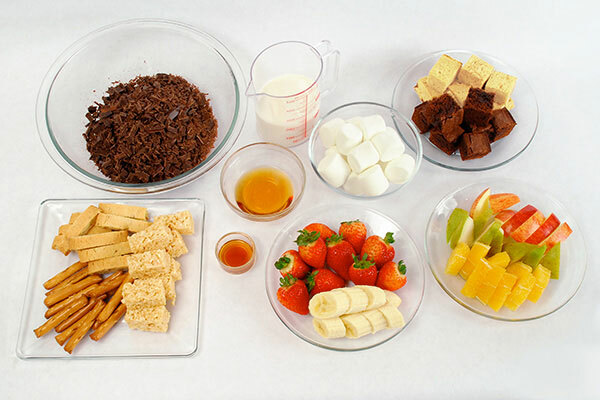 This chocolate fondue is easy to make and delicious to enjoy. Using the Gourmet d'Expert® Electric Skillet will let you prepare everything in advance, and allow guests to serve themselves. *This recipe is ideal in the Gourmet d’Expert® Electric Skillet (EP-PBC10). 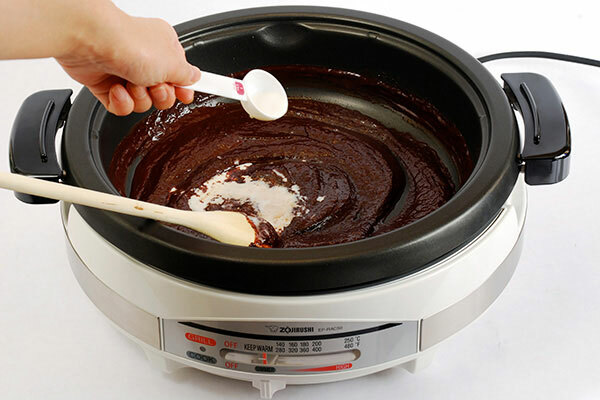 It may be made in the larger EP-RAC50 model, but you may need to double the ingredients. 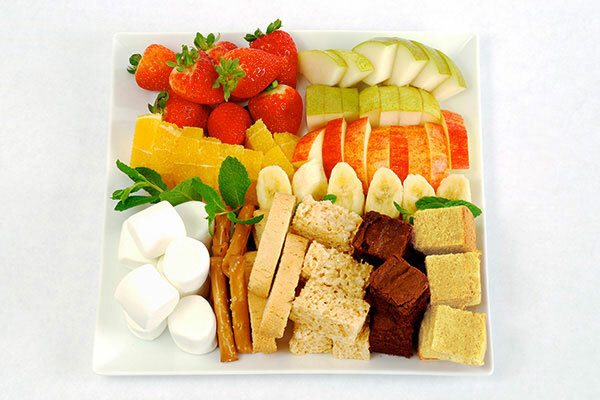 Cut the dippables into bite-size pieces and arrange on a platter. 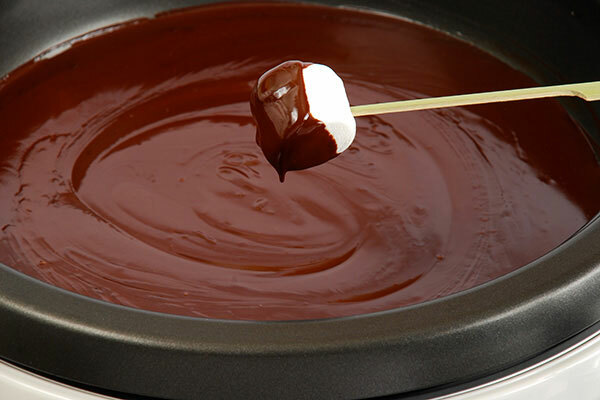 Turn the Gourmet d’Expert® Electric Skillet to 360°F and heat 3/4 cup cream until it comes to a low boil. 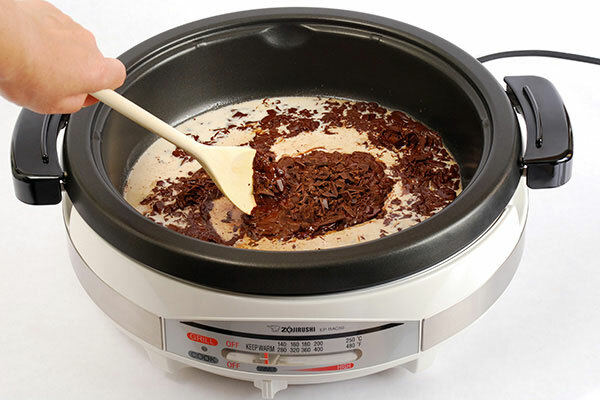 Turn the control lever to Keep Warm and add the chocolate. Mix well using a wooden spoon. Add vanilla extract and liqueur if preferred. 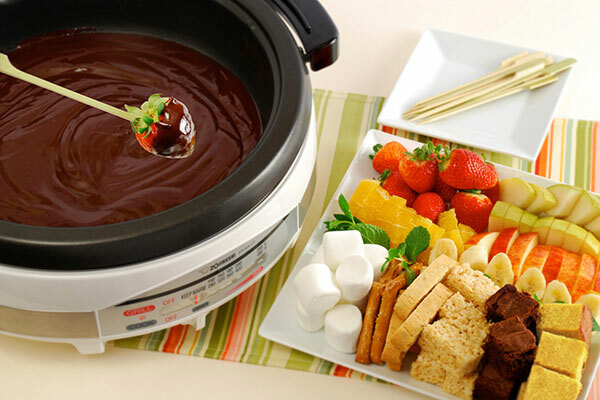 Place the dippables platter near the Gourmet d’Expert® Electric Skillet along with wooden skewers. 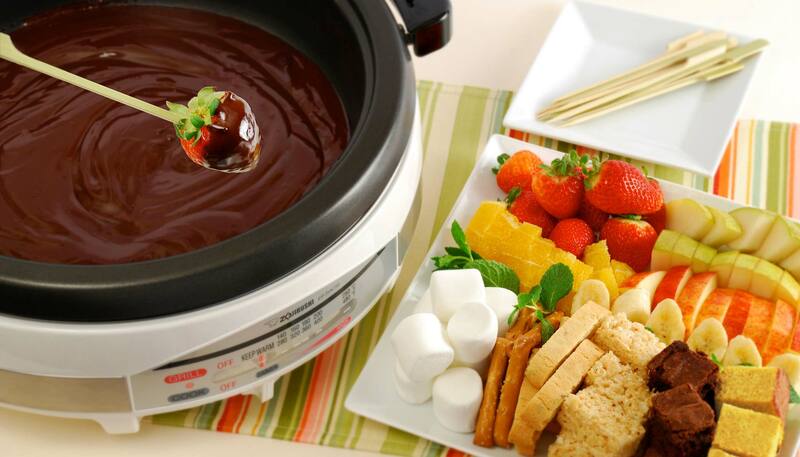 Spear the dippables with the skewers, and dip in the chocolate to enjoy. If the fondue becomes too thick, stir in the reserved cream 1 Tbsp. at a time. If it becomes thin, add more chocolate.